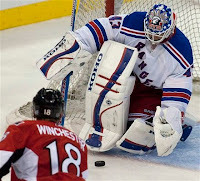 When Marian Gaborik went down with a shoulder injury in a home loss against the Toronto Maple Leafs I think the whole Ranger world took a deep breath and began to wonder- How on earth are the Rangers going to create offense and win the game? Personally, I thought this was a perfect time for this Ranger squad to show their makeup and mental ability to stand up and face adversity. With added pressure comes greater responsibility, and the boys in blue responded with flying colors! After a terrible showing at home in a 3-1 loss to the Avalanche, the Rangers went on the road for two. First, in Toronto, with a 2-1 win in which I thought they were the dominant team. The score was not indicative of the play. 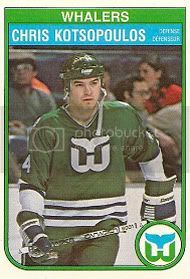 Then it was off to Beantown for a 3-2 win (didn’t get to see this one). By all reports it was a well deserved win- at least that’s what my son Cody told me and I value his opinion greatly. 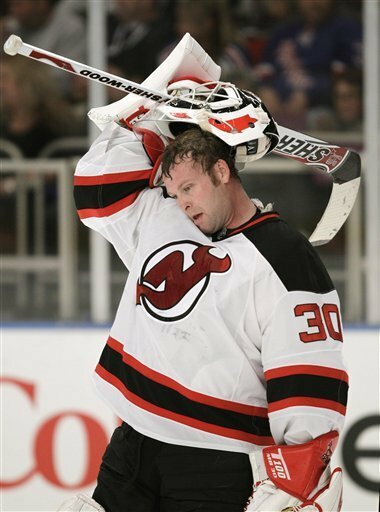 The next test came at home last night against the hated New Jersey Devils (boy, have they got problems). The Rangers played two periods of dominant hockey and had to hold on in the end for a 3-1 win in which Lundqvist was solid. In these three games the Rangers have proved to themselves and the coaching staff that they can handle a major crisis (Gaborik’s injury). More importantly they have found a formula that works. It’s really quite simple, work hard and play to your limits. Nothing more, nothing less. I can’t stress enough that if you outwork the other team the results will tend to lean to your side. Playing smart and to your limits means- do what you are capable of. If you meet these standards, that’s all you can ask! It also helps when you get great goaltending and the duo of Lundqvist and Biron have stepped up in a big way. Martin Biron shut down a tough Maple Leaf team in Toronto and the King did the same in Boston. Lundqvist’s performance in the third period last night as the Devil’s were trying to claw their way back was vintage Lundqvist. Listen folks, I’m not an idiot. Trying to replace Gaborik is absolutely out of the question. Gaborik is a star player who is a major threat every night he laces his skates, and the opponents know it! Are the Rangers better with him in the lineup? That goes without saying. But until he is healthy and ready to go the Rangers MUST stick to the formula that has them winning: Hard work! Hard work! Play within your limits! It’s really that simple. I just want to give a shout out to a player who I believe is a throwback player if I’ve ever seen one. Brandon Prust is first and foremost a great team player. He is tough and competes like no other. 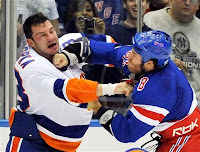 Prust gets cut over the eye in Boston (looked serious) and plays the next day! 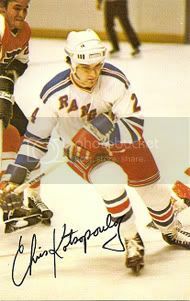 That’s old time hockey for you and I will speak for most Ranger fans that we are glad to have him in a Ranger uniform. 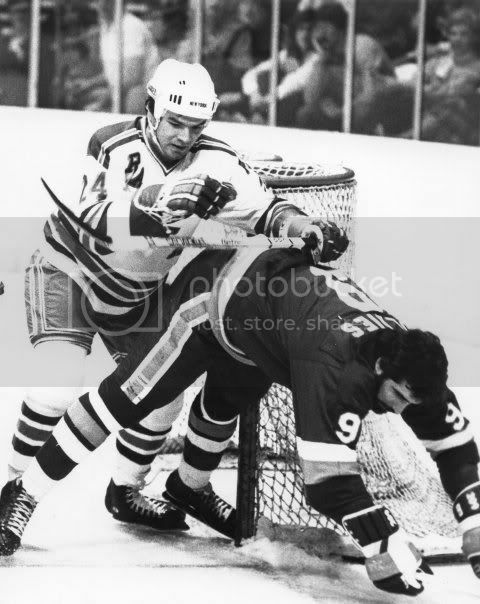 Up next is Wednesday at MSG against the Atlanta Thrashers. Over and out! After a very nice road win to start the season in Buffalo (6-3 win), and a bit of a coming out party for Rangers rookie Derek Stepan (hat trick), the boys in blue headed to Long Island to take on the New York Islanders in the (affectionately dubbed) "Mausoleum". This game had it all. Pre-game festivities during warm ups with Avery and Konopka, a really long and great fight between Brandon Prust and Zenon Konopka, and great back and forth action. However, in the end, the Rangers came out on the short end of a 6-4 loss. At times the Rangers looked good (PP, forecheck) and at times just awful (MDZ's giveaway, late second period goal by the Islanders). That, folks, was the killer to me. The boys in blue should have started the 3rd period with a 3-2 lead. But because of sloppy and lazy play, it cost them the lead. Matt Moulson was able to fire home a rebound that, quite frankly, the Rangers all fell asleep on. This is unacceptable late in any period. In the 3rd period, the Rangers battled hard to take the 4-3 lead on a nice shot and finish by Artem Anisimov. It looked like the win was in the books. When Ryan Callahan was called for a rather dubious tripping penalty, Marc Staal then got careless with his stick and received a high sticking penalty shortly there after. As a result, the Islanders were on the 2 man advantage for over a minute down by just a goal. That's when it happened. P.A. Parenteau tied it up (...I think I've heard of him before) and then Blake Comeau got the game winner. 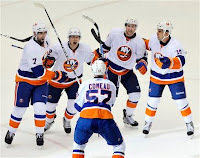 The Islanders later added and empty netter to finish the Rangers off. It was a game in which the Rangers could've, should've won... but didn't. The Islanders got gifts handed to them and took full advantage of them to secure the win! 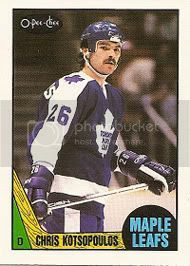 Next up for the Rangers, my old team the Toronto Maple Leafs... that will not be easy! Just a little about the Quinnipiac Bobcats. The Bobcats split last weekend at the Q with the Ohio State Buckeyes. They won a goaltenders dual, 2-1 on Friday night. However, they dropped the next game 4-0 the very next night. Much like the Rangers, the Bobcats looked very good at times but very sloppy as well. It's early and this is a young team (no seniors at forward) and they will have to grow up as a team real fast as the college season is not an 82 game schedule. It should be fun! Remember to listen in Tuesday nights to the Instigators hockey show with myself and Pauly D. That's every Tuesday night at 8:30 PM EST. You never know what I'll have to say! Over and out! With the NHL kicking off the 2010/11 season somewhere in Europe, the boys in blue will start theirs Saturday night in sunny Buffalo. There will be new faces (like Frolov, Stepan, Boogaard, etc) and some old ones gone (Redden, Jokinen, etc). While I look at this team with guarded optimism, I liked what I saw in the pre-season. Let's face it, you still have one of the best goalies in the world in Henrik Lundqvist (now with a seasoned backup in Marty Biron). You added a proven scorer in Alex Frolov (who needs to rebound from last year) to go along with Marian Gaborik... this might be a great one-two punch on offense. You have replaced Jody Shelley with Derek Boogaard (the most feared man in hockey). Also new to the club are additions such as Fedotenko, Eminger, White, and Kennedy. The Rangers have quietly built some legitimate depth in the organization. I mean, when you can send down players like Ryan McDonagh, Pavel Valentenko, etc... that proves that there is some solid building of talent for the Rangers. I would be remiss if I didn't mention Derek Stepan, who so far looks ready to make the big leap to the NHL. I like this kid a lot. With the core of this squad: Staal, Dubinsky, Callahan, Del Zotto, Anisimov, and Gaborik locked up for a while things look bright for the Rangers. In the end, you have to applaud Glen Sather- like it or not. 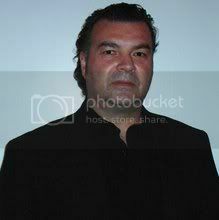 He and his staff did some brilliant work under the radar this off season. I will remind you results are what matters the most and only good results are needed by the Rangers.